When you think of Australia you probably think of sun and surf rather than dressing in sharp suits. However, in the Sydney Morning Herald business etiquette expert Lizzie Wagner describes Australian tie-wearers as "reliable, respectable; a man who can deliver, not one of the boys". 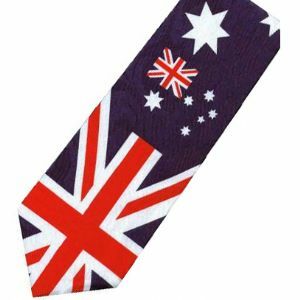 This Australia Flag Novelty Tie is great for Aussies who are proud of their country and want to smarten up their look.